Skylum Software, formerly known as Macphun, has introduced a significant update to its flagship Luminar 2018 program. 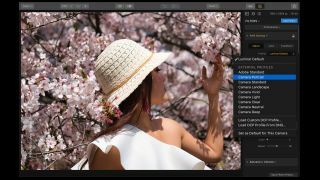 The update, which is available free of charge to Luminar users, is said to make the program up to 12x faster than before, and contains over 300 other improvements, with some of these based on user feedback. The most significant of these concern Raw adjustment. Not only does the update bring an updated Raw conversion engine that promises better colour and less noise, but automatic lens corrections are also now supported. Furthermore, support for DCP profiles for DNG files is also included in the update for Mac users, something that will filter through to the Windows version in the near future. Windows users also now benefit from the Batch processing, Free Transform, and Flip and Rotate features that were previously only available to Mac users. The company claims that the various improvements to speed mean that images open faster and filters apply quicker, with responsiveness overall boosted. Other new features include batch processing and easy transformations. For more details on the update, head over to the Skylum site.